These mini burgers are perfect for parties, the big game or little fingers. 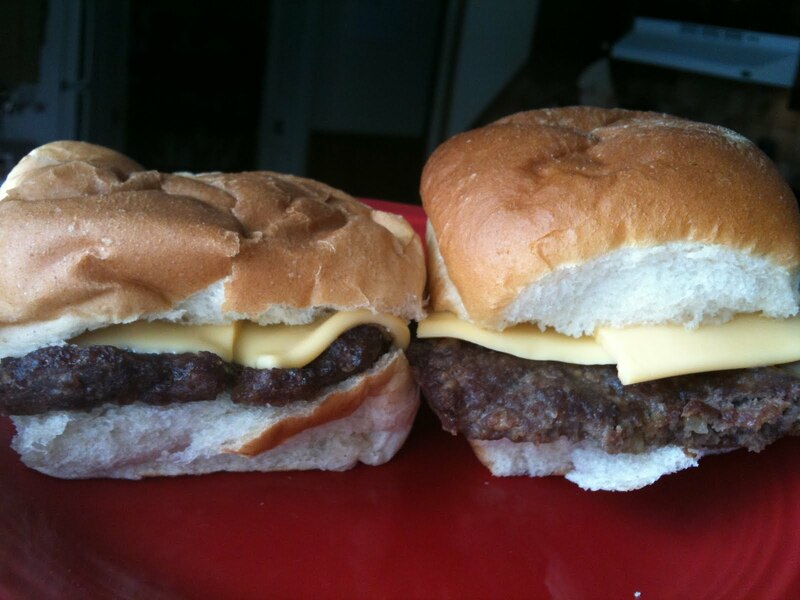 The are similiar to the White Castle burgers that my husband loves but taste soooo much better. They are very quick to make a freeze beautifully. 24 mini slider buns or dinner rolls. 3. Press into a cookie sheet. If you want perfect littel squares use a 15x10 pan. I use a 12x17 and it still works out fine. To freeze: Flash freeze burgers(on buns) on a cookie sheet. Once frozen wrap with plastic wrap and store in a big freezer bag. To heat from frozen: upwrap plastic wrap. Wrap in a paper towel. Microwave 1 minute. I love mini anything. And these little beauties look fabulous. These will be perfect for the girls! And I never thought to use a cookie sheet! DUH! LOL! Thanks for sharing!